Bella Jean Boutique: Custom Knife Holder…for the Beach! My brother loves to cook and bake. When he goes to Maui he is always barbecuing and making up some sort of yummy meal. Well, you can’t go without your utensils. It can be hard sometimes to carry knives easily along with all those other ingredients and they can be easily lost. Louise decided that for a special prize for him, she would sew a knife case. This was fun to do it with her since she hasn’t sewed in a long time. 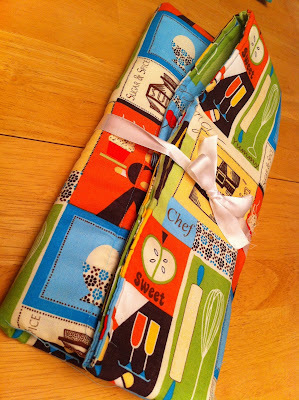 She picked out some perfect “cooking” cotton fabric for it. 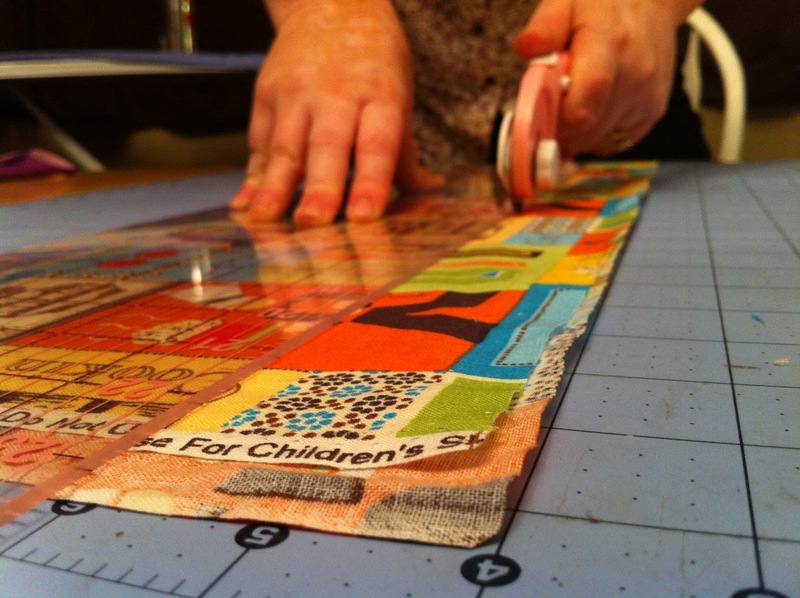 She began by cutting a 2 rectangles about 22”x18”. She added a layer of fusible fleece in between them to make it thick so the knives couldn’t poke through. 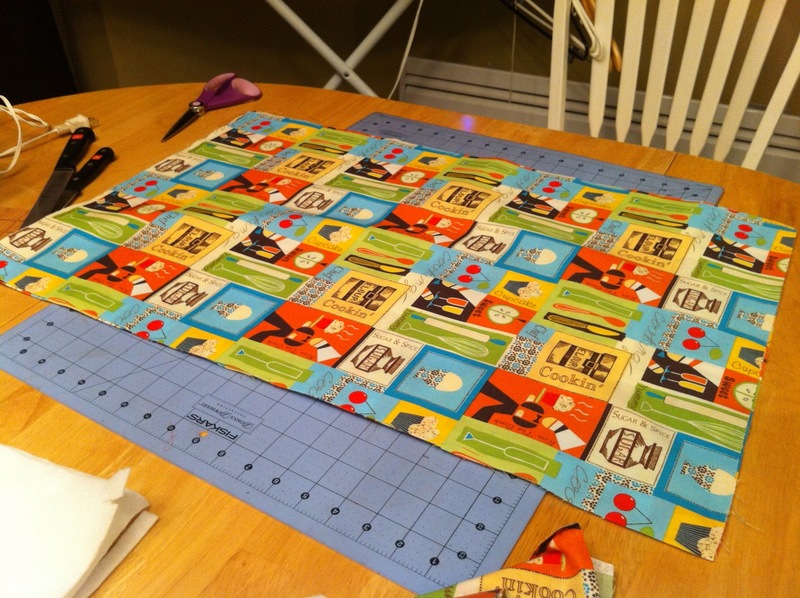 She sewed it all right sides together, turned it out and topstitched around the edge. Then she marked where she wanted her knives to be and sewed lines to created pockets down the bottom part of the case where the knives would go. Next she added twill tape that would tie together after it is folded up. Now it is the perfect knife set holder! Here it is being used at the beach!